UC Santa Cruz literature professor and National Book Award Finalist Karen Tei Yamashita will discuss her acclaimed novel I Hotel at Bookshop Santa Cruz on January 25. The popular independent bookstore in downtown Santa Cruz has selected the novel as its Community Book Group selection for January 2011. The event begins at 7 p.m. with a community discussion facilitated by the Bookshop's Community Book Group leader, Julie Minnis, followed by a dialogue with Yamashita. I Hotel tells the epic tale of America’s struggle for civil rights in San Francisco’s Chinatown from 1968 to 1977. Divided into 10 novellas, the book begins in 1968, when Martin Luther King and Bobby Kennedy were assassinated, students took to the streets, and the Vietnam War escalated. I Hotel took Yamashita over a decade to write and research, and was a 2010 National Book Award finalist in the Fiction category. 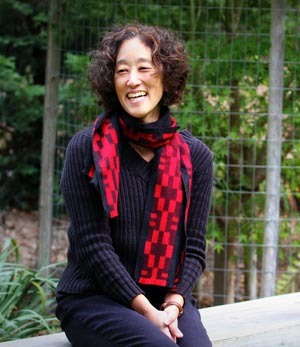 Co-director of the Creative Writing Program at UC Santa Cruz, Yamashita is also the author of Through the Arc of the Rainforest, Brazil-Maru, Tropic of Orange, and Circle K Cycles, all published by Coffee House Press. She will additionally appear at UCSC on January 13 as part of the campus’s Winter 2011 Living Writers Series, along with her publisher, and her illustrator--creative writing alumna Sina Grace. Each quarter, the Living Writers Reading Series brings visiting authors and poets to UC Santa Cruz to give students an in-depth look into the world of the working writer. The UCSC event will take place from 6 to 7:45 p.m. at the Humanities Lecture Hall. Admission is free and the public is welcome. For more information, contact the UCSC Literature Department at (831) 459-4778.